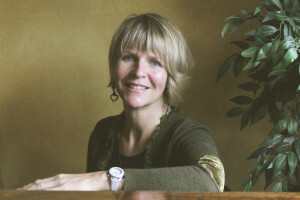 Here you can buy mp3s of any of Helen’s songs and arrangements listed below and full albums too. Just click on the listen arrow to preview the song and then click on Buy mp3 to add the song to your shopping basket. From the checkout page you can add more items by returning to this page. A Change Is Gonna Come Soul classic, written by Sam Cooke and covered by all the greats. This demands a commanding tenor lead. Backing is gorgeous, easy to sing and almost a song in it’s own right! 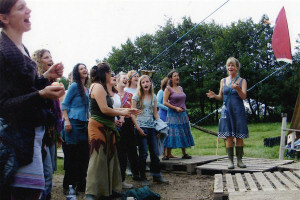 All Come Together To Sing Joyful easy song, a camp favourite. 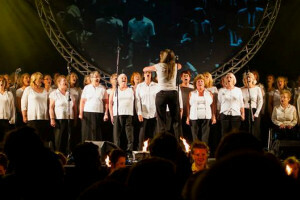 Awaken Sing For Water 2009. Sun Cycle Spring. Uplifting! Break ‘Em Down Warm-up or audience partic’n song, gospel, v jolly. 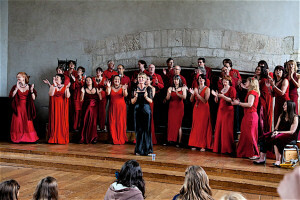 Chanson Anthemic rousing classic celebrating singing. Children of Tomorrow Catchy wake-up about our environment. Crowned Love Passionate love song. Deep River Beautiful weaving of this traditional spiritual with Jimmy Cliff’s classic song. Earth Blessing Uplifting celebration of our inter-connectedness. Every Voice Shall Sing Uplifting shortie for warm-ups, audience participation. Family Beautiful new song calling on us to celebrate what unites us rather than what divides. A song for post-Brexit difficulty. Fat Cat Satirical send-up of the financial system, theatrical. Feel Your Love Passionate love chant – sometimes requested at weddings! Glorious Chorus/Hosanna Anthem in 2 sections, modern spirituality element. Goddess Unisong award winning folk song for female trio. Harvest For The World Female-only arrangement, written for Helen’s One World show, from The Isley Bro’s original. Lots of jazzy chords. Heaven Can Wait Modern, funky R&B love song – either solo-led or duet with backing. Hmm Yeah, Hallelulia Bluesy, light with impro opportunity. I’d Pluck a Red Rose for my Love New arrangement of Demelza’s song from recent series of Poldark, for female voice (SAT). Indigo Child Beautiful original song, Helen’s hit of 2017, celebrating the next generation. It’s Gotta Be Right Mens ensemble jazz song, love theme, breezy. Jerusalem Brand new arrangement of this epic song, with Helen’s new time signature & chorus. Killing Me Softly Beautiful love lament, this song was made famous by Roberta Flack. 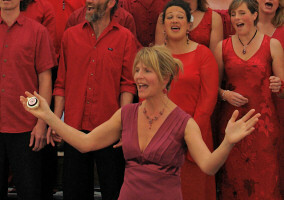 Helen’s arrangement has a solo lead and optional vocal percussion. Kingdom Of Love Soul classic, solo-led, big chorus. Lay A Little Love Bluesy female ensemble, impro opprtunities. Let Freedom Ring Easy, upbeat shortie, peace & unity theme. Line-Up! Rousing peace song with sung rap verses. Live In Peace Mystical chant for peace. Domine dapachem domine. Love Is the Power Anthemic song inspired by the sermon by Rev Michael Curry at the 2018 royal wedding. 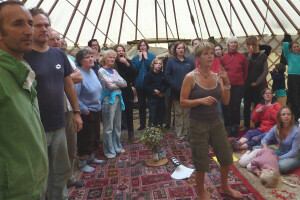 Manna From The Mother Uplifting celebration of our connection to the earth. Mojo Brighton Fringe Festival competition winner – tongue-in-cheek shortie. Motherland Community choir fave, connecting us with the land. 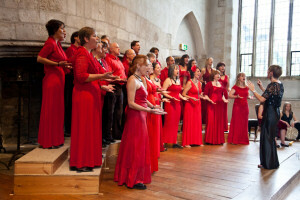 No More War Female trio peace song, moving to sing & hear. 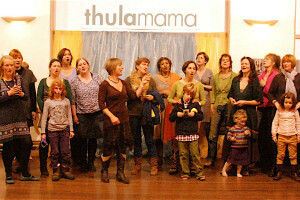 Ola Mama Uplifting song about family. One Love Unity song, catchy. Return Heartful song honouring the beauty of autumn. Saved Helen’s award-winning song! Soul/gospel solo-led catchy rouser, jazzy chorus. Shine A Light Gospel/spiritual catchy song, impro opportunities. Slow Train To Heaven Spiritual-style ensemble song, impro opportunities. Soldier Martyr Solo-led spiritual style anti-war song, moving to sing & hear. Son of a Preacher Man Hits for Dusty & Aretha, this one rocks. Only tricky bit is the bridge. 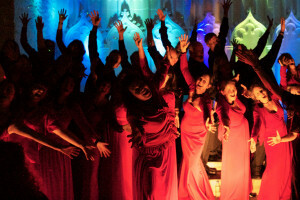 Stronger Big choir anthem, modern spirituality, peace & unity. Sugar & Spice Song about slavery, past & present. Sun Chant Summer song in the Sun Cycle of songs. Uplifting chant. Sunshine, Fire & Rain Heartful fave of Helens. Celebrating the light & shade of love. Take Me To The River Al Green soul hit, nice to add improv over the loop at the end if you can. Grooves along. Tender Heart Achingly tender ode to love, loss and hope. A favourite. This Love Will Carry Simple arrangement of the chorus to Dougie Maclean’s classic song. Heartfelt and easy to sing. Try/Stay With Me mashup Fun mashup of 2 recent soul/gospel hits by Macy Gray & Sam Smith. A clever weaving together of these songs, impossible to stand still to! Tumblin’ Bluesy song about the yearning for peace. Impro. 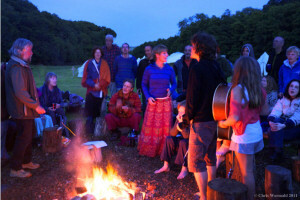 Unto This Land Beautiful earth blessing, a hymn of our ‘marriage’ to the earth, inspired by Hafiz. Wait For Me Relaxed gospel-style song about love/faith. Solo opport’y. We Got All The Love Community choir anthem. Peace, love, everything! Weave A Prayer Relaxed vibe, love theme. When You Fall Poignant song about love & rescuing. Wild Mountain Thyme Glorious Scottish / Northern Irish folk song. And.. the tune is with the basses! Add some if you don’t have many…still works a treat. 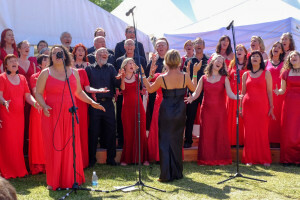 The chorus is great for audiences to join in with. 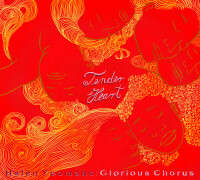 This album features songs from Glorious Chorus’s One World production. Including original poetry set against the music and percussion, this album is a beautiful collection of Helen’s original songs and arrangements. 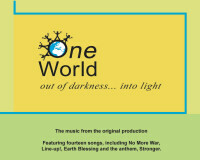 Songs : Children of Tomorrow – One World/Earth Blessing – Harvest for the World – No More War – Soldier Martyr – Sugar & Spice – Deep River/Many Rivers to Cross – Tumblin’ – Break ’em Down – Kyrie Eleison – Stronger – Glorious Chorus/Hosanna – Line-up! Tender Heart was released in August 2014. The collection includes some of Helen’s favourite pieces including Tender Heart, Sunshine, Fire & Rain, Live In Peace and Return as well as some of her simple warm-up songs. 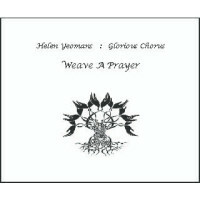 Weave A Prayer is a studio album of the best of Helen Yeomans’ original songs. Recorded in the beautiful Rose Room at Bowden House, Totnes, this features a selection of songs for full choir as well as ensembles. 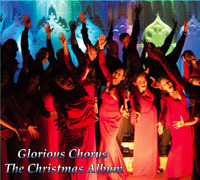 This beautiful new Christmas CD from Glorious Chorus is a section of studio-recorded tracks from the choir’s festive repertoire. It includes all their favourite Christmas songs (listed below) – a truly heart-warming collection.